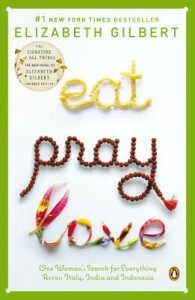 What Made Eat, Pray, Love a Best-selling Memoir? Eat, Pray, Love is a formulaic memoir that works. Elizabeth Gilbert structured her book around discovery across three cultures: pleasure (eating) in Italy; devotion (praying) in India; and a balance between worldly enjoyment and divine transcendence (loving) in Bali. In this class, you will learn the skills Gilbert brings to this classic bestselling memoir, and discover for yourself how to make your own memoir shine by employing these craft techniques into your own writing. The four one-hour sessions in this course cover structure; scenes and transitions; flashback and memory; and the all-important takeaway.